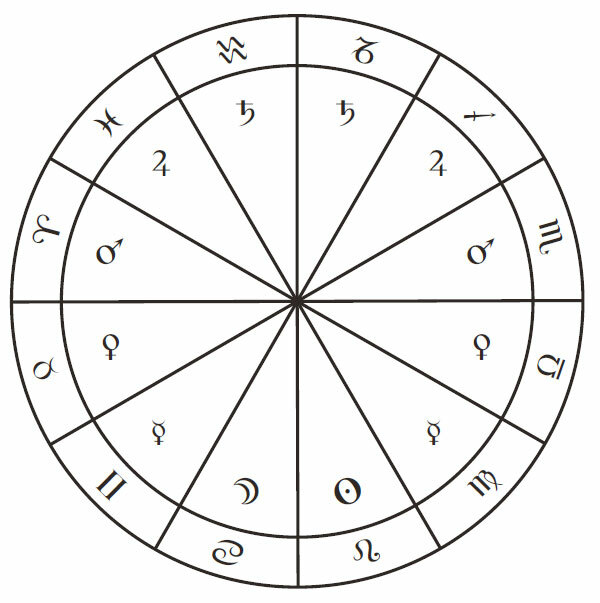 In traditional astrology the signs of the zodiac were originally conceptualized as the homes or dwelling places of the planets, and each planet was associated with a specific sign called its domicile. 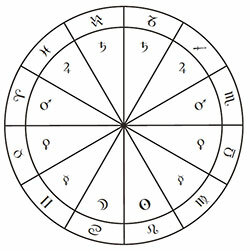 According to this doctrine, each of the seven traditional planets has one or two signs of the zodiac as domiciles. Aries is the domicile of Mars. Taurus is the domicile of Venus. Gemini is the domicile of Mercury. Cancer is the domicile of the Moon. Leo is the domicile of the Sun. Virgo is the domicile of Mercury. Libra is the domicile of Venus. Scorpio is the domicile of Mars. Sagittarius is the domicile of Jupiter. Capricorn is the domicile of Saturn. Aquarius is the domicile of Saturn. Pisces is the domicile of Jupiter. In modern times the domicile assignments are simply referred to as “sign rulerships”, although in traditional astrology there were several different types of rulership, and so this specific scheme is usually referred to as “domicile rulership”. Technically the original Greek term for this concept, oikos (οἶκος), just means “house”, but it is usually translated with the more archaic English term “domicile” in order to avoid confusion with the modern concept of the twelve “houses”. Generally speaking, most traditions of astrology hold that when a planet is in its own domicile it is more auspicious in a chart. Domicile is one of the five essential dignities.